Download "chapter 1 THE OFFSHORE ISLANDS"
3 The Offshore Islands 3 Figure 1.1. 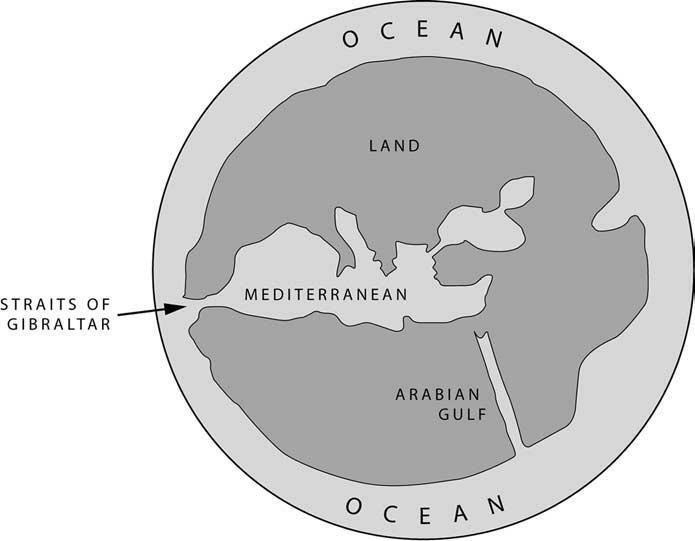 The world according to Hecataeus of Miletus. account distinguishes between Megale Britannia (Great Britain) which refers to the larger island, and Mikra Britannia (Little Britain) which describes Ireland. Elsewhere he refers to them as Alvion and Hivernia, respectively. Ireland was better known by the Greek name Ierne or its Latin equivalent Hibernia (Rivet and Smith 1979: 37 40). Ptolemy s map of the islands was conceived as a strictly scientific exercise, but accounts of their inhabitants took a different form. Although these texts are sometimes characterised as ethnography, they were conceived within a literary genre which stressed the important differences between the civilised populations of Greece and Rome and the barbarians with whom they came into contact. Indeed, it seems as if geographical distance from these centres of high culture was one way of assessing the features of different populations. Thus those who traded with the Roman world were held in more esteem than other groups; the British were more backward than the Gauls; and the inhabitants of Ireland were more primitive still ( J. Taylor 2000). Such accounts were composed according to well-established conventions. Very little of what they said was based on first-hand observation, and many of their contents disagree with the findings of modern archaeology. If Britain and Ireland existed after all, it was important to emphasise that in cultural and geographical terms they remained extremely remote. 8 8 The Prehistory of Britain and Ireland investigation begins when their geography assumed more or less its present form, although the territories of present-day Scotland and Ireland may have been uninhabited. This is also an account of their prehistory, and, although it is not an entirely satisfactory term, it helps to define where this account should end. It concludes with their discovery by travellers from the Mediterranean and their incorporation in a wider world. THE SENSE OF ISOLATION Britain and Ireland did not assume their present forms simultaneously, and this had serious consequences for their ecology and for the hunter gatherers who lived there. Ireland was cut off by the sea at a time when Britain was still attached to the European mainland. That happened well before Ireland had any inhabitants and certainly before a number of animal species could have become established. They include wild cattle, elk, red deer, and roe deer, none of which formed part of the native fauna. Britain, on the other hand, was continuously settled from the end of the Ice Age and had already been colonised by these species before it was separated from the Continent. Because this happened quite late in the development of postglacial vegetation, it also had thirty percent more plant species than its western neighbour (Bell and Walker 2004: 167 8). The time interval is extremely significant. It seems as if Ireland became detached from southwest Scotland by a narrow channel. This had happened by about 12,000 BC as the polar ice cap melted and sea levels rose. 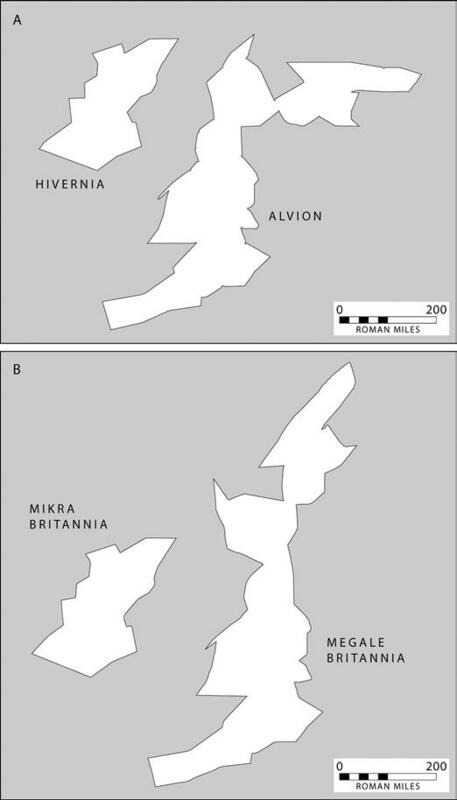 The English Channel had formed by 8000 BC, and the fertile plain that linked what is now eastern England to northern France, the Low Countries, and Denmark was gradually reduced in size between about 10,000 and 6000 BC, when Britain was completely cut off from the Continent (Shennan and Andrews 2000; Fig. 1.4). Finds from the bed of the North Sea show just how important this area had been (B. Coles 1998; Flemming, ed. 2004). The earliest settlement of Ireland seems to have taken place by boat around 8000 BC (Woodman 2004). By this stage the North Sea plain was already threatened by the rising water, but it was before large areas of territory had been lost. The earliest dates from Scotland are of the same order. They begin around 8500 BC and increase in frequency after a thousand years. They are similar to those from west and north Wales (David and Walker 2004). The Isle of Man was separated from Britain and Ireland by about 8000 BC and may also have been colonised by sea. It appears that this took place sometime before 6500 BC (McCartan 2004). Some of the islands off the west coast of Scotland were also used from an early date. Orkney was eventually settled by hunter gatherers, and there are other early sites in the Shetland Islands (Melton and Nicholson 2004). 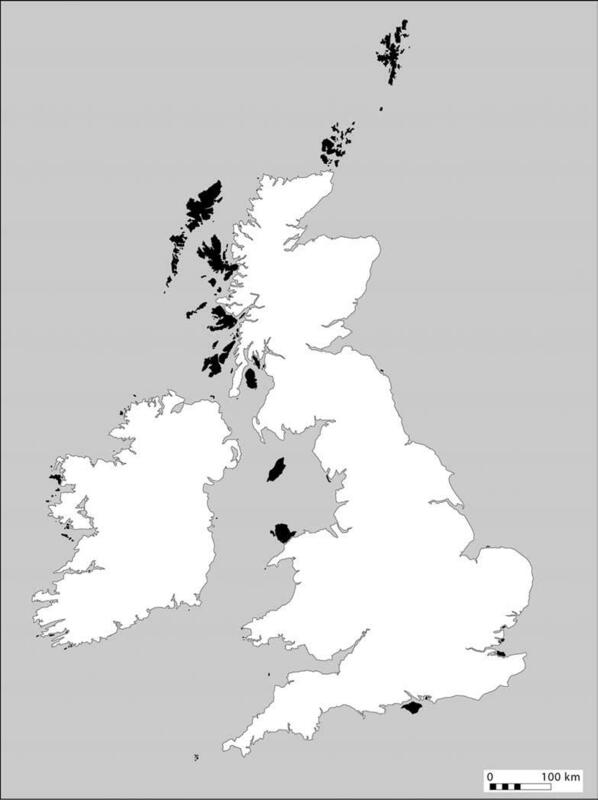 It is uncertain whether the Outer Hebrides were occupied, although the results of pollen analysis do raise that possibility (Edwards 2004).